We recycle used oil filters, first capturing any remaining oil. 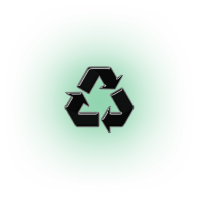 Even though there is no state or federal law that requires you to recycle them, AWOS believes its good business practice and it’s the right thing to do. We furnish our customers with clean, labeled DOT approved 55 gallon drums. We pick up full drums and replace them with empty ones. We transport the full drums to the AWOS facility and send them out for recycling. We offer collection of your spent antifreeze when we pick up your used oil. What happens to your antifreeze? Your antifreeze is recycled using a closed loop system that removes harmful contaminants and turns into a re-manufactured coolant.